We thank you for always giving us your patronage. This company introductio for the high season fee. We would appreciate it if you could support and cooperate with us. 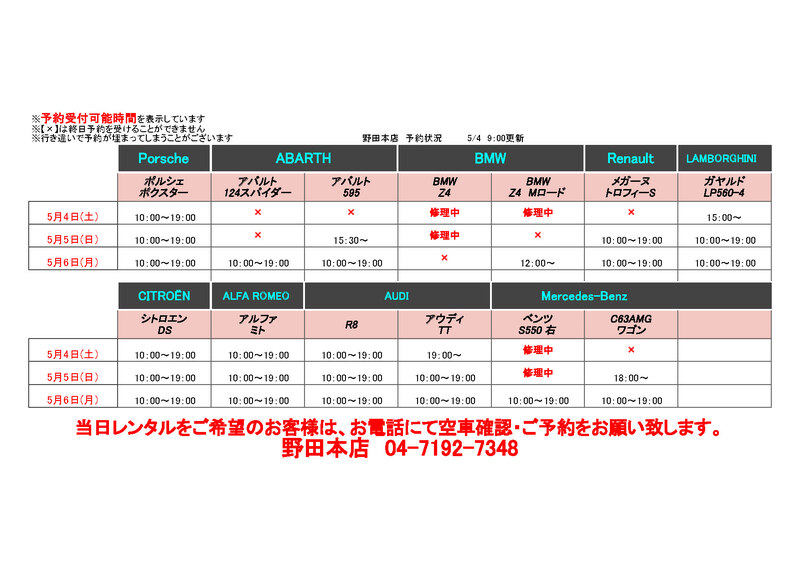 Noda Head Office//Narita Airport Shop all rent-a-car target : 1,080yen for per 24hr. 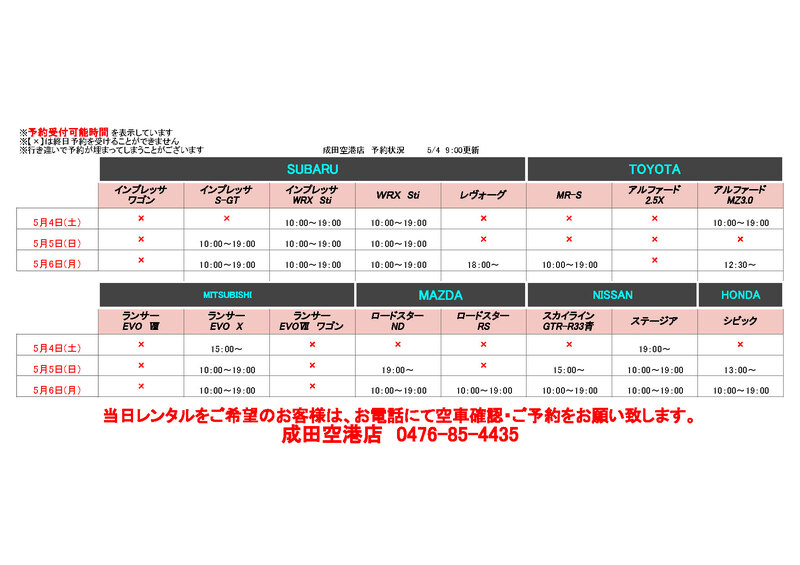 Reservation time May 6 6:00 p.m. pickup - May 7 6:00 p.m. drop off　⇒　It takes a rate for the high season. When I reserve the departure during a period for the high season, I put a check to 【 □High Season Rates 4/27 to 5/6 departure】 in STEP3 by all means for the , and I would like a reservation. Saturday, April 27 - Monday, May 6 : open! 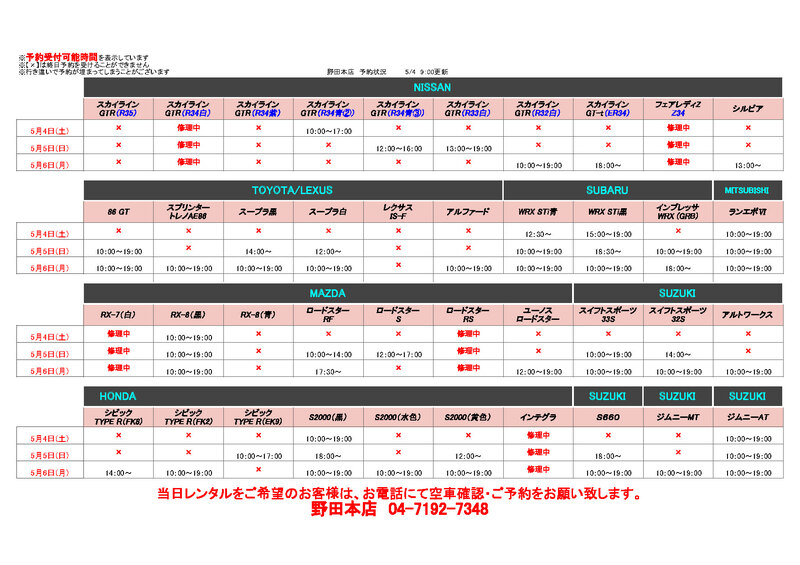 Because congestion is expected during a period for the high season, please make a reservation early. The CLS350 SHOOTING BRAKE finish rental on 17th March.